Can it happen? Absolutely it can! The naysayers will always bring-up excuses - we're too poor (Honduras? ), our players are too small (Messi? ), it will take generations (North Korea? ), Nepal is too corrupt (Cameroon? ), our facilities are pathetic (Nigeria?) - but the fact is many countries with our resume (as highlighted in the parentheses) have achieved what many believe to be impossible. A recent Price Waterhouse Coopers report stated, "If a country has a strong footballing tradition, then finding 11 international-class players should not be that difficult even from a population of just a few million". yes 100 % true. ANFA SHOULD THINK ABOUT IT . 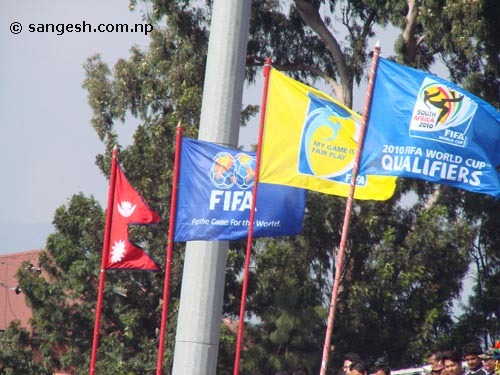 WE ALL NEPALESE WILL BE PROUD AND HAPPY TO SEE NEPAL PLAYING IN WORLD CUP RATHER THAN WAVING FLAG OF SOME OTHER COUNTRIES . IF NORTH KOREA , GHANA , NIGERIA EVEN NEW ZEALAND CAN DO IT THAN WHY CAN,T WE? GREAT ARTICLE BIPLAV DAI . In nepal, education system and sports should be out of main stream politics. about football, after 3 / 4 yrs we has our nation league and see the results hahaha team who was about to get relegated scored 8 goals against the team who was promising. Right now nepal need a good football league that brings clubs from all over nepal, jsut not KTM. heard taht they are increaing to 18 teams in league now. they should take action on games which looks like match fixing. Untill and unlees tehre is a srtong league we can not promote football in nepal. I still remember we had Biswas Jung Gurung ( fifa lines man) as my computer teacher in school, when i asked him Sir when will we see nepal in world cup, his answer was never untill we have a strone league like in europe. See india they have develop the good league now and Sunil Chettri already in one of the best league MLS. Easier said than done. Long as we live, hope is there,certainly.If they can do it, so can we, is a forceful argument. Your comparison does provide a ray of hope to disillusioned home fans. Bear in mind, the countries you have signaled out enjoy a robust footballing tradition, coupled with a supportive and effective football association. They have tirelessly worked their way to the top despite challenging circumstances. Speaking of Nepal, it is a reverse scenario. Admittedly,there is no dearth of talent, and we have been playing the game for long. Unfortunately, we have miserably failed to carve a niche for ourselves in world football largely because of incompetency and pathetic governance on part of ANFA. As things are now, the road to recovery for Nepali football is long, painstaking and arduous. @Sthapa - for sure my post (which I always try to keep brief) is very simplistic and it's easier said then done, but I certainly don't think it's fantasy. Many people feel creating a strong football team requires massive amounts of wealth, great government support, amazing infrastructure, etc. but that simply is not the case. Countries like Singapore are miles away from the World Cup, while Honduras is there already. From my background in football development, as I've highlighted in this article, the formula for success is not really rocket science. We first need good crop of coaches (can be achieved with with few resources if we have a good technical team in place). Then we need a formidable youth develop system (this requires lots of planning, but again it is not resource intensive). Finally we need a great scouting system where top talents are identified, monitored and brought into Nepal's elite football set-up (Again this is all about planning and not money, facilities, etc). 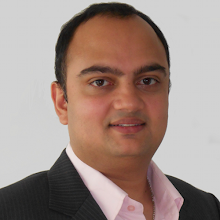 @Sangesh - thank you for your post! You make a great point. Certainly a formidable league is essential for football development, no ifs, ands, or buts. I however do not think it is essential for a strong national team. Many African and North American countries have poor quality leagues (still much better than Nepal), but their national teams are still strong as their best players go and play abroad at an early age. That is why I was so excited about Anil Gurung going to India. If all our top players start developing in foreign leagues, that is adequate to develop a strong crop of players for the national team. The suggestions you have outlined(to build a strong football team) are cornerstones of any development project. I fully agree that it has to do more with good and effective planning backed by an equally efficient and professional management. In the present context of Nepal,for any system or planning ( small or big) to work and succeed , dedicated leadership, money,resources and physical facilities does matter more than anything. Otherwise, how brilliant, innovative and practical the planning might be but will not work as in the case of Nepal. You always do great things for football. Facts may differ, but this requires effort, great going Nepal.